I think I've shared how much of a focus we've had on Fine Motor skills in my classroom this year. My students have made so much growth in their fine motor skills and keeping the activities in our fine motor center fresh is one of the ways we get tons of practice in in our classroom. We're all about Spring in our classroom during April. The weather is getting a little bit warmer with an occasional rain shower. We're seeing all kinds of plants pop up around our school and we definitely have spring fever in our classroom. 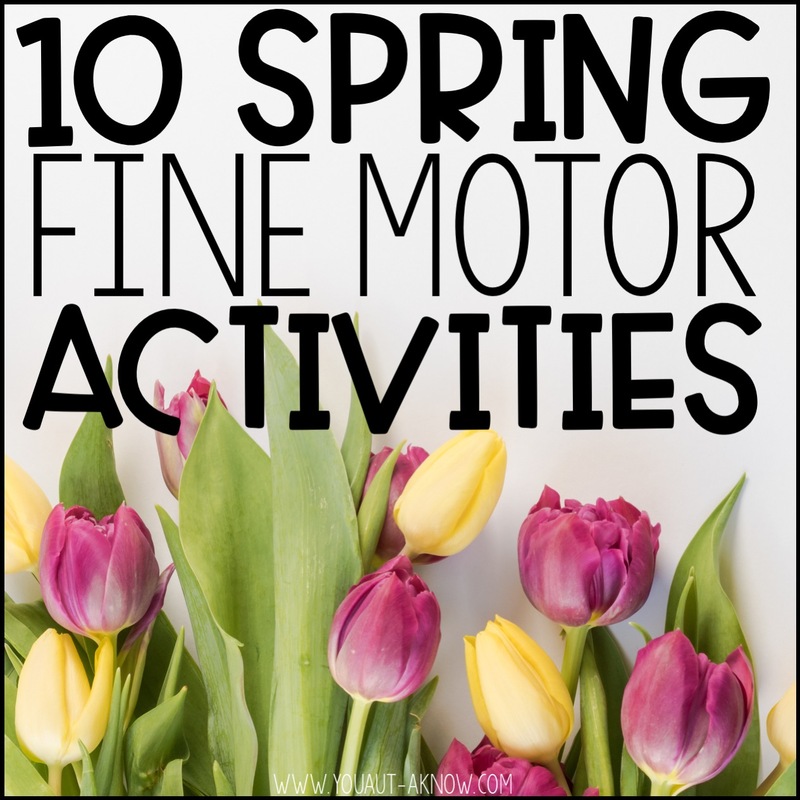 Since we're loving Spring in the classroom, I put together 10 spring themed fine motor activities that you can implement in your classroom in no time. Check them out! 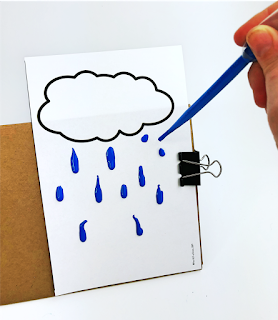 This simple print and go activity is easy for you to prepare and the fine motor practice your students get is PERFECT. 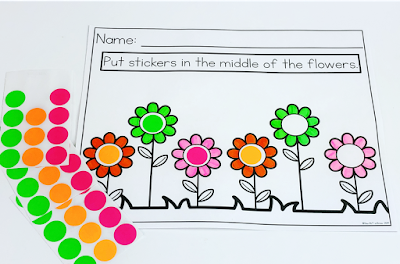 Just print the flower page from my FREE download and grab some Avery stickers. 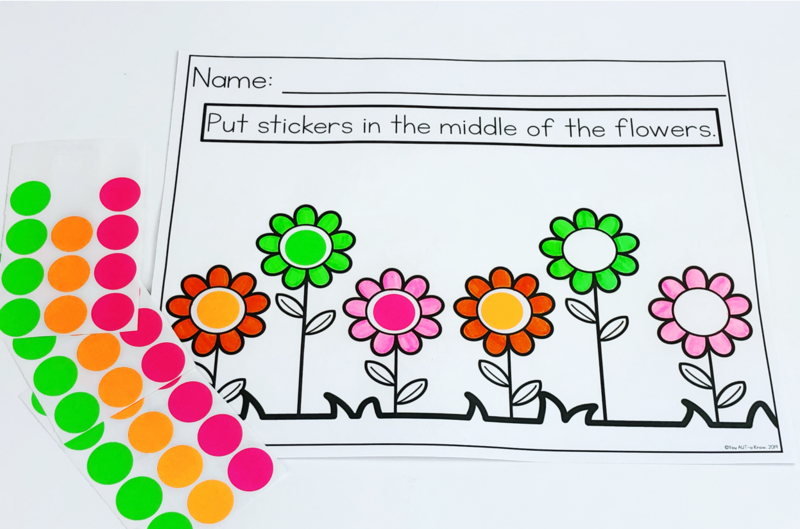 Students will use their pinching fingers to peel the stickers off the paper and they will practice targeting by trying to place the sticker inside the circle of the flower. This activity is a fun one. My kids seem to LOVE all the squirmy things in the Spring! 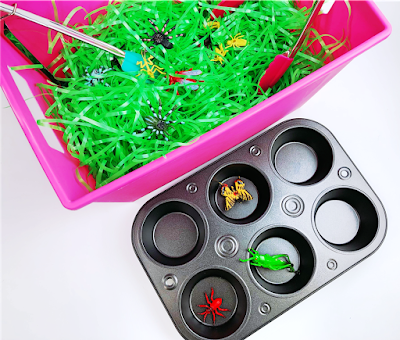 I used some plastic grass and a bucket to prepare this activity and added in some plastic bugs. I threw in some assorted tongs for my students and we worked on sorting the bugs by color. This activity is one of my favorites from my Grab and Go Scissor Skills boxes. I love to put some activities that integrate scissor skills into our fine motor center every month. This activity is one I use with some of my students have more advanced scissor skills. 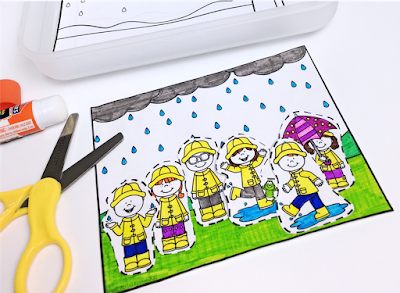 Students practice cutting intricate shapes by cutting out the pictures of kids and adding them to the rainy day scene. My students love coloring these. I'll also add them to a piece of writing paper and we'll write short stories about the scenes, too! Spring is the time to enjoy all things squirmy and wormy! 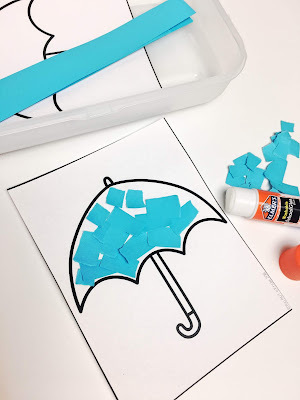 This fine motor activity is a super fun one! I grabbed some cardboard (thanks Amazon deliveries! 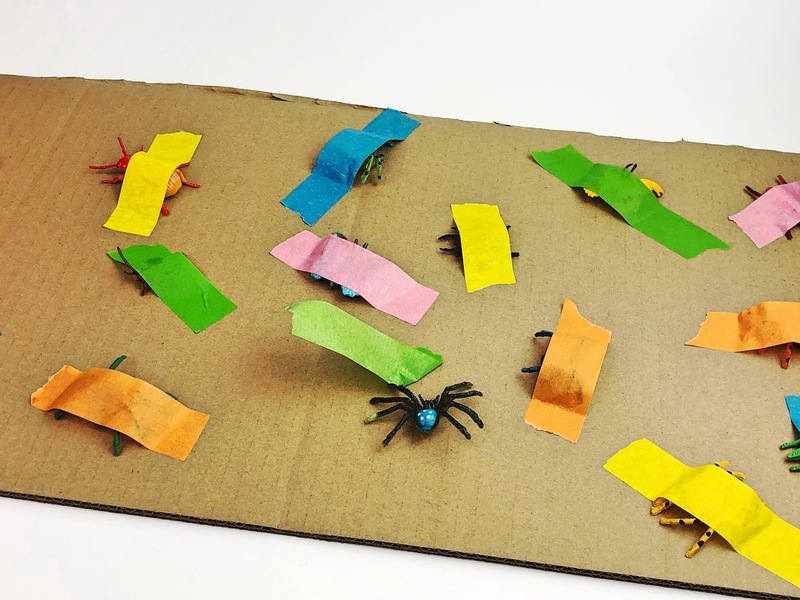 ), some masking tape, and some little plastic bugs to get prepared for this activity. I ripped small lengths of masking tape and used them to "trap" the bugs onto the cardboard. My students love using their pinching fingers to peel the tape back and save the bugs! We're still working on counting sets in our classroom, so when I think of an activity that can combine fine motor skills and counting skills, it's a win for me! For this quick prep fine motor activity, I grabbed a basket, some tongs, and some plastic grass from the store and tossed it all together. 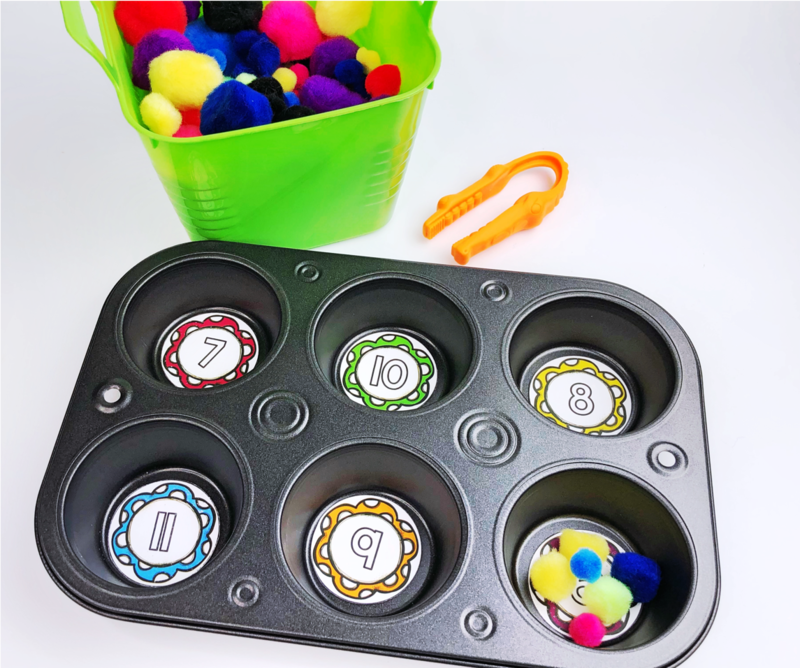 I prepared some quick circles to drop into a muffin tin (laminate if you want, I printed on card stock, so I didn't feel the need to) and students can practice counting out sets! You can grab these quick circles to pop in the muffin tins in my FREE download! 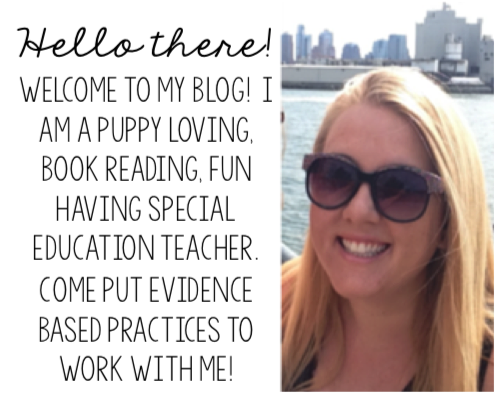 Have students that aren't counting yet? You can always sort by size or color, too! Have you notice a no/low prep theme in these activities yet? 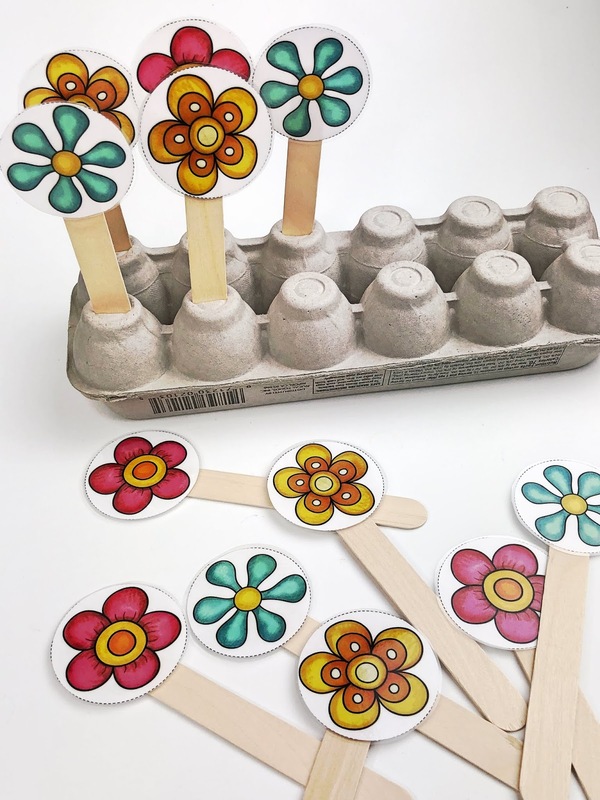 This flower number punch activity is such a great way to integrate fine motor skills with counting skills in the classroom. Just print the punch cards from my FREE download and grab a hole punch. Students will practice punching holes in the card to match the number on the flower. Have students who aren't quite counting independently? I added in a set with some prompts for your students to be more successful. I love the fine motor practice my students get when using clothespins. That pinching and targeting is such great practice and it's a good strengthening activity for some of my students. 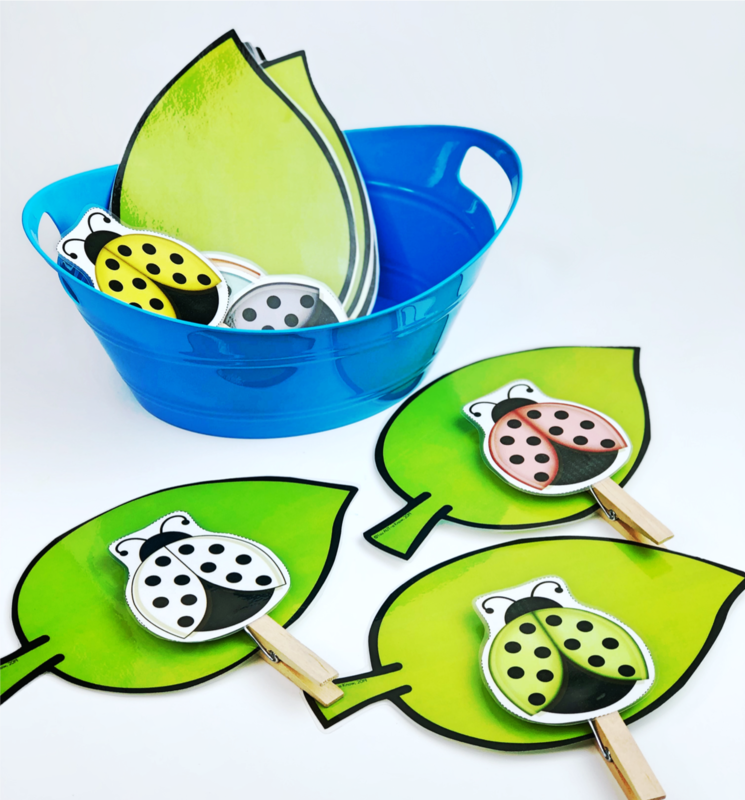 For this quick fine motor activity, I printed and prepped some leaf and bug pieces. I laminated all the pieces and hot glued the bugs to a clothespin. I placed everything in a basket in my classroom and my students are practicing putting the bugs on the leafs in the fine motor center. 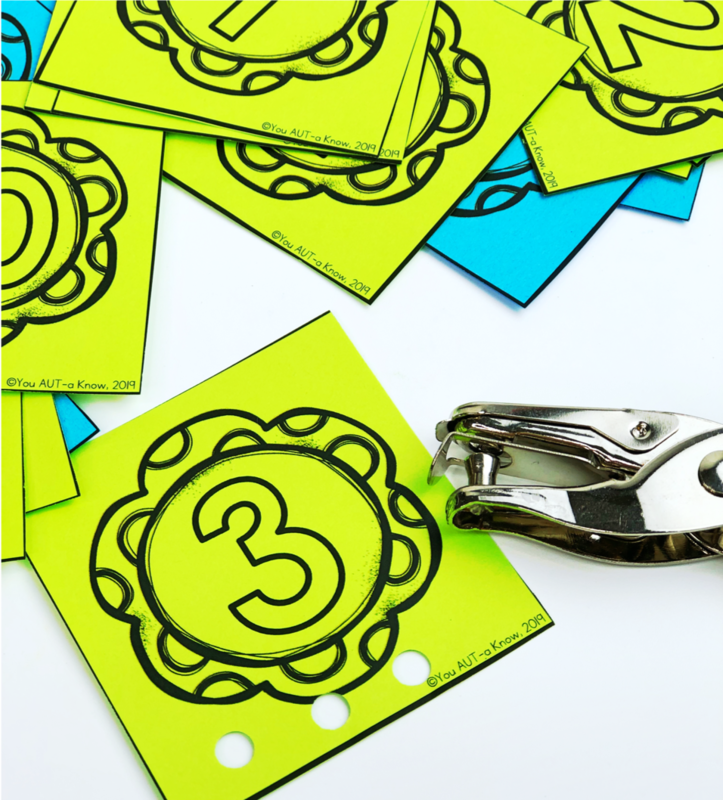 This activity is a precutting activity from my Grab and Go Scissor Skills boxes. Students are given strips of paper that they rip and place on an umbrella template I have prepared. The practice of ripping the paper is great for the development of my students fine motor skills. I even created a little color book that my students complete while working on this activity. The love making and reading the book. I love the repeated practice they get when completing this activity multiple times! I always like to include a painting activity in my fine motor centers. My students tend to LOVE them. This is a simple, fun activity that has been a big hit in the classroom. You can grab two FREE templates in my download to use with your students. Students can color the picture if they'd like. I made a quick triangle out of some old cardboard (thanks Amazon deliveries!) to prop the picture upon. 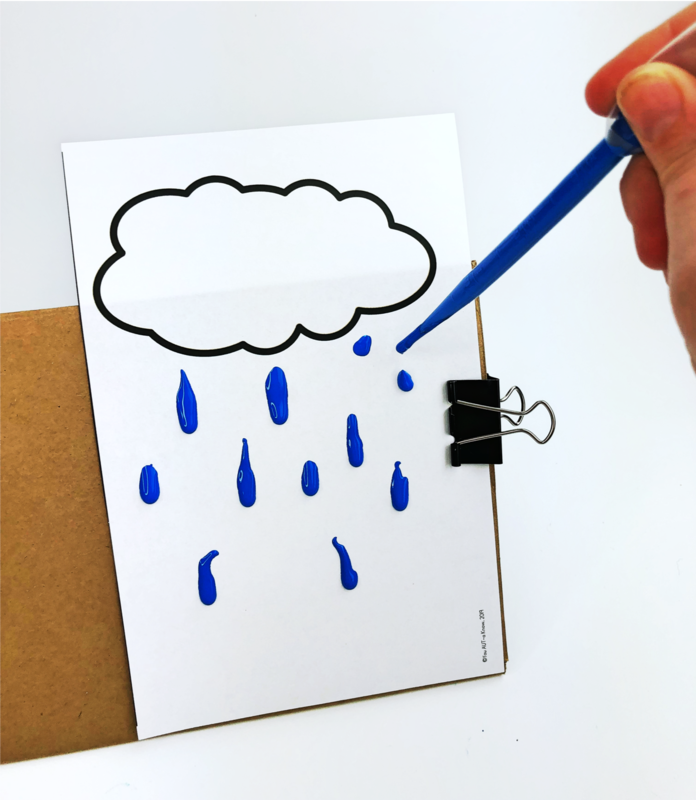 Then the fill an eye dropper with paint and drip it down the page to make "rain". TIP: For runnier paint, mix it with a little bit of water! This is such a great activity to practice targeting. I grabbed my old egg cartons and cut out some flowers from my FREE download. I laminated them for durability and hot glued them to a popsicle stick. I cut a small slit in my egg carton and students practice inserting the flower's stem into the egg carton. Want to grab the FREE printable I made to go along with these activities? Enter your name and email address below and they'll be sent straight to your inbox! 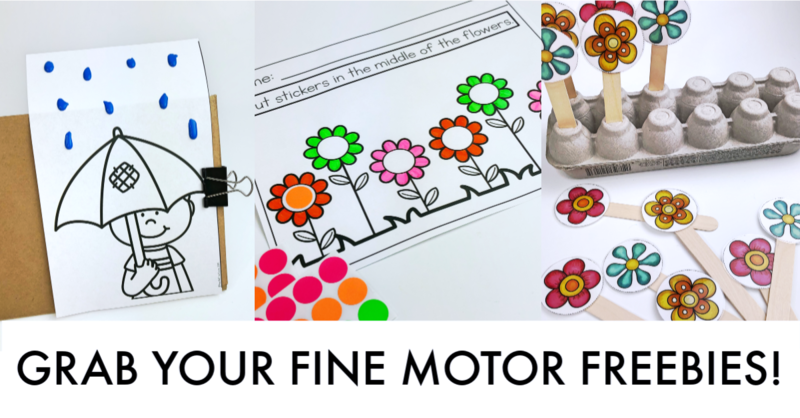 Signup to grab your Spring Fine Motor Freebies!